When people think of GIFs, they often imagine a silly animation for a quick joke. But like any medium, it has potential beyond our cat-centric imagination. “The GIF has evolved from a medium for pop-cultural memes into a tool with serious applications including research and journalism, and its lexical identity is transforming to keep pace,” Head of US Dictionaries, Katherine Martin, recently commented. So it’s only appropriate to highlight a few GIFers who take the file format beyond a basic form. Stereographs, common in the 19th and early 20th century, paired two slightly different photographs together to trick the eye into creating perspective and a three-dimensional image. Now, we can experience something akin to that through the GIF animation (or GIFing) of NYPL Labs Stereogranimator. The site includes more than 39,000 items from the stereograph collections of The New York Public Library, as well as nearly 650 stereographs from the Boston Public Library. The general public — and scholars — can now easily see (and share) 19th-century stereographic images in a whole new way. Can GIFs be used in the serious work of journalism? Poynter’s Ann Friedman cooked up a handy journalist guide back in August, while New York Times’ Still Life series used GIFs to complement their articles on summer spaces, but The Atlantic Wire’s Elspeth Reeve stands out. From her coverage of the Olympics to the presidential debates, she uses GIFs to provide context and richness to her work. While GIFs are most often used as one-offs, Reeve constructs a narrative with image and text. McKayla Maroney's vault. GIF by Elspeth Reeve. While not an official outlet for National Geographic, Felipe of São Paulo captures beautiful nature scenes, many from National Geographic films, in brief bursts. His smooth work lacks the characteristic jolts of many GIFs and creates a small cinematic experience for the viewer. Although I’ve titled this post “Five GIFers for the serious-minded,” it’s important to recognize the flexibility and importance of humor. Our UK Word of the Year originated on a satirical British television show. Wit, invention, and genius are not restricted to so-called worthy endeavors. And it’s okay to laugh in an art museum. And of course, please share your thoughts on the best GIFers in the comments below. There’s a whole world out there to discover. 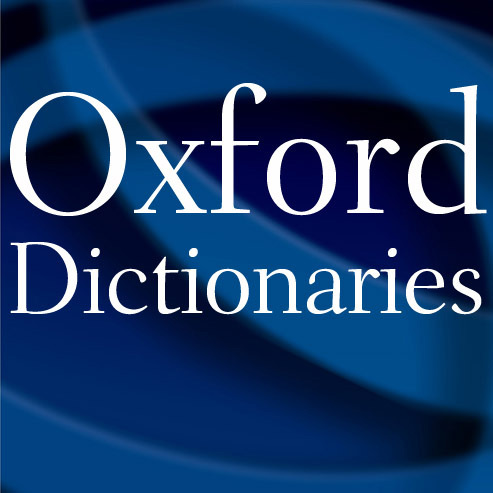 View more about the New Oxford American Dictionary on the or visit oxforddictionaries.com. ZEFSIDE REPRESENT. DIE ANTWOORD RULEZ!!! I LOVE YOOU YO-LANDI!! !